Wilkinson was born in New York City in 1935 and started ballet classes at age 9. Schubert depicts the young Wilkinson arriving for her first classes in a tank top and athletic shorts, a touching parallel to Copeland's description of her own early ballet attire in her memoir Life in Motion. From the very start, the ballet world seemed unsure of where to place Wilkinson. With very light skin, Wilkinson was often mistaken for Spanish. "I think they thought I was exotic, from another country," Wilkinson says. She remembers going shopping with her mother fending off questions about where they were from. Her mother would firmly reply that they were American. "All of that questioning and prompting was to get you in the right box and get the lid on it," says Wilkinson. Wilkinson, center, with the Ballet Russe. Photo Courtesy Wilkinson. While a student at Columbia University, Wilkinson auditioned for the Ballet Russe de Monte Carlo three times; finally, in 1955 at age 20 she got in. Trailblazer focuses mostly on the racism Wilkinson experienced while on tour with the company. In 1957 she was asked to leave a hotel in Atlanta, GA. "They called the colored taxi to take me to the colored motel," Wilkinson says. The next day she was sent back to New York and instructed to rejoin the company when their tour took them closer to the Mason Dixon Line. Wilkinson also describes using makeup to lighten her skin for performance, and run-ins with the Klu Klux Klan, like when the company arrived in Montgomery, Alabama, in the midst of a KKK rally. While eating with fellow dancers in the hotel dining room on her way to the theater, Wilkinson noticed a pile of what she thought to be white laundry on a chair at the adjacent table; on further inspection, it turned out to be a pile of KKK gowns and hoods that her fellow diners had removed while eating. 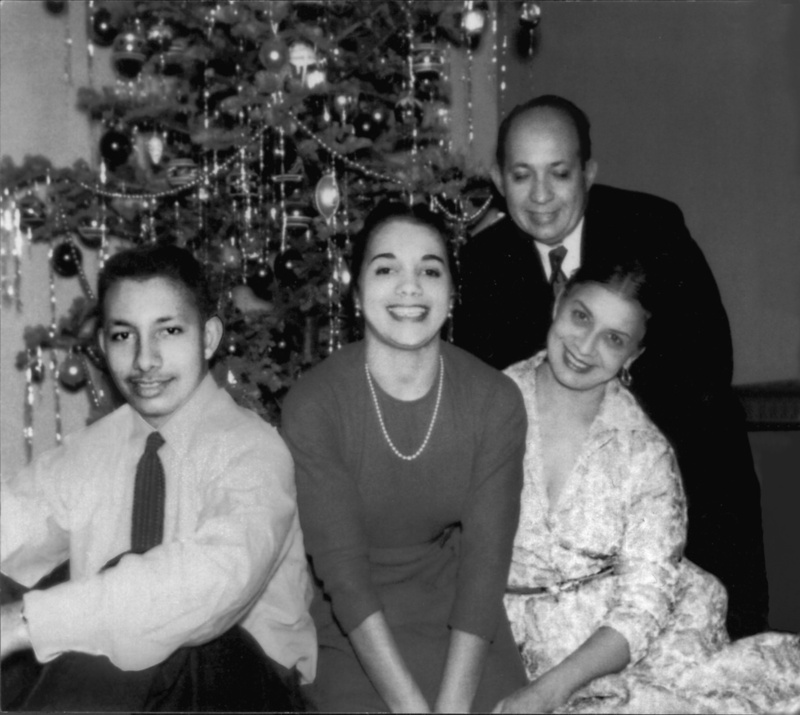 Wilkinson with her family. Photo Courtesy Wilkinson. Wilkinson left the Ballet Russe in 1962, and in 1967 she joined the Dutch National Ballet, which at that time was far more diverse than American companies. "The Dutch weren't interested in what you were but who you were," says Wilkinson. In 1974 Wilkinson returned to the US and continued her career dancing with the New York City Opera. Though Wilkinson faced more than her fair share of adversity because of her race, she had never found her story to be particularly remarkable, and turned down prior offers to have books or movies created based on her life. But Copeland's presence changed all that. "I might have been the first African American dancer to be in a deeply rooted classical ballet company, but when I looked down the road I never would have dreamt that a Misty would be there," says Wilkinson. Copeland's celebrity has allowed a number of black ballerinas who came before her to hear each other's stories. "I don't feel like we've been hidden or passed over or excluded," says Wilkinson. "I think Misty's brought us out and given us a more distinct outline." And indeed, Trailblazer will share Wilkinson's story with the next generation of dancers. Trailblazer is available via the following book sellers: Indie Bound, Books a Million, Barnes & Noble and Amazon.